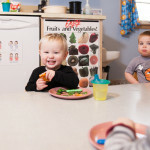 Breakfast, lunch and snack are provided at Community Child Care Center. We pride ourselves on nutritious, home-cooked meals. 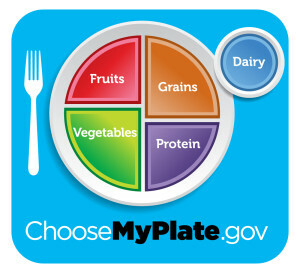 We use lean ground beef and ground turkey, and fresh fruits and vegetables when in season. Pancakes, muffins, and other fresh baked goods are regular items on our menu. 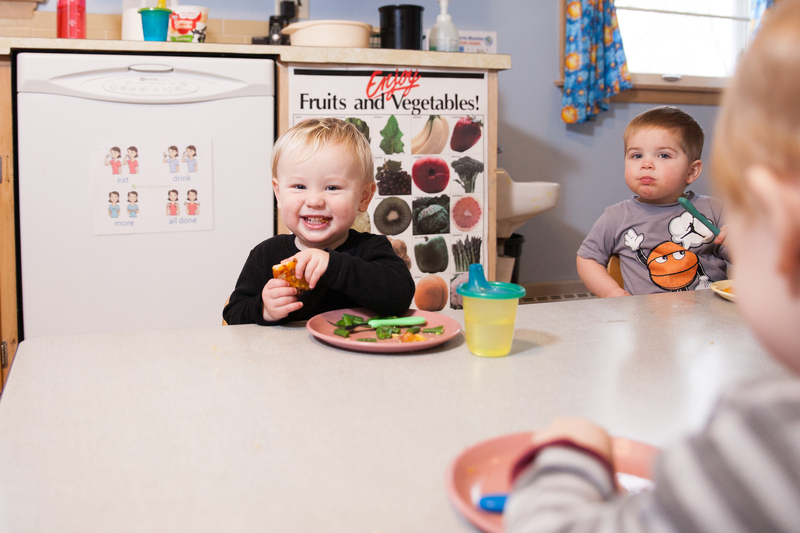 Community Child Care Center participates in the USDA hot meal program for child care. 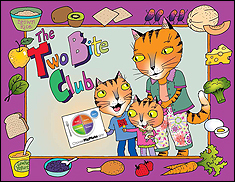 This program sets standards for nutritional requirements which are in alignment with Wisconsin licensing standards. 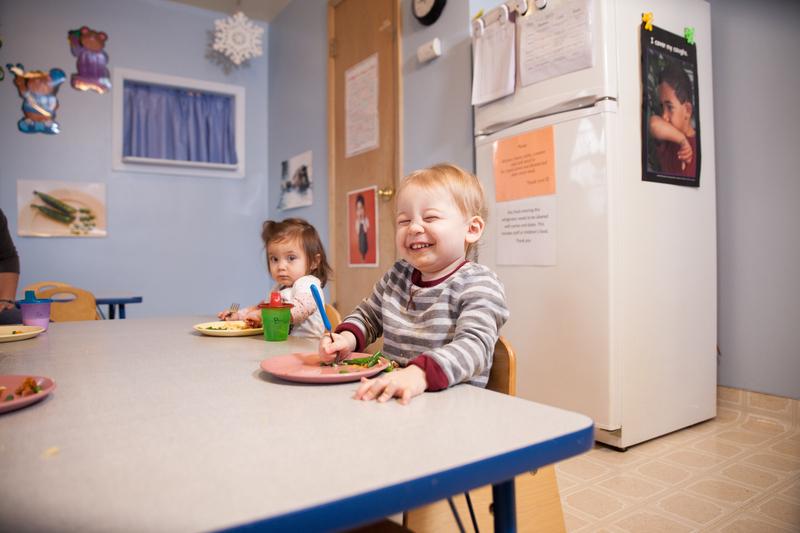 We are a breastfeeding-friendly center and partner with parents as the infants make the journey from breastmilk to formula to table foods in their first year of life. 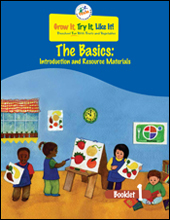 In addition to serving healthy foods as a part of our program, we also utilize the USDA’s MyPlate materials and resources to teach about healthy eating and movement.